Last year we spent a happy couple of hours wandering around Tai O on Lantau Island, the last historic, stilted fishing village in Hong Kong. So when we were thinking of a stopover on our flight to Milan recently, we were pleased to discover it is possible to stay right in the village at the Tai O Heritage Hotel. Nestled on the side of a steep hill and built in 1902, the old Tai O police station is now a Hong Kong Grade II Historic Building. The station closed in 2002 and was left vacant and dilapidated, but has been rescued and restored under the Revitalising Historic Buildings Through Partnership Scheme, which endeavours to reuse buildings while retaining their original spirit of place. Rooms are beautifully appointed and finished, with all the comforts a traveller could want. Our room had not one, but two double beds – one for each of us. 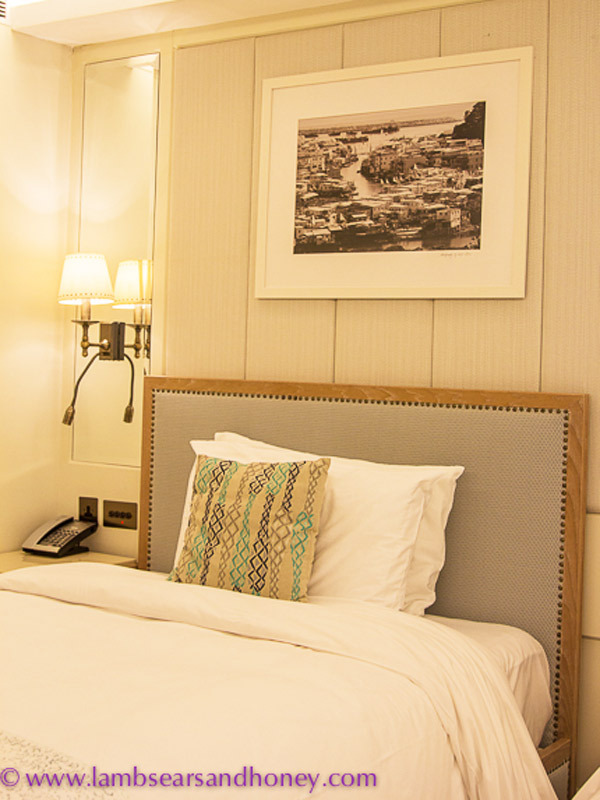 The beds were extremely comfortable and made up with top-quality linen, ensuring a great night’s sleep. The bathrooms are stunning, with lots of marble, double heritage-style basins and generous showers with excellent showerheads – all very luxurious. The views from the hotel are gorgeous, looking back towards Tai O in one direction and out to the South China Sea in the other. Yet again, the village charmed us with its simplicity and easy pace, although the odour as we walked past the shrimp paste production area would take some serious getting used to. It attracts plenty of the local cats, who don’t seem to mind it at all. It is not terribly easy to get to the hotel – especially for the elderly or infirm. It is accessible only by either a water taxi ride and a slightly hairy scramble on to the boat landing, or a 2km amble through the village and around to the point – dragging your luggage behind you. 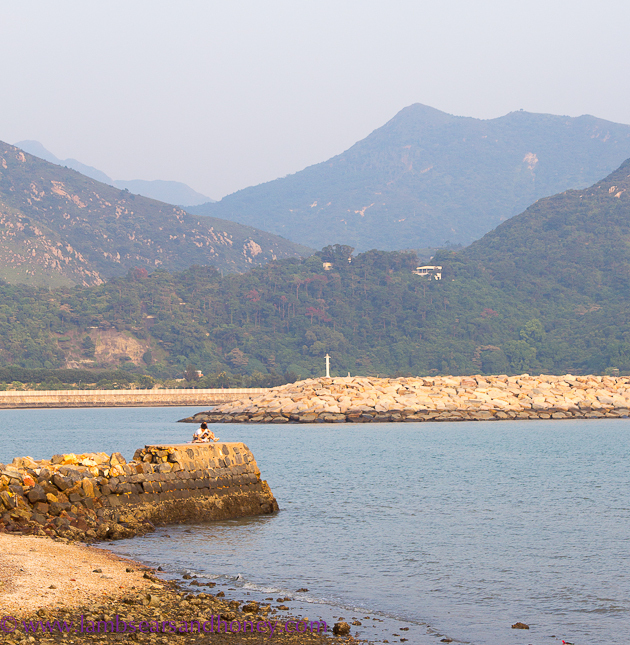 The hotel offers beautiful views to the South China Sea and Tai O Village. The staff will assist with the boat transfer and are one of the hotel’s best assets – they are extraordinarily pleasant and helpful, and inexplicably refuse to accept tips. One let down is the restaurant, whose offerings are prosaic at best and pretty bad at worst. We had dinner there, and almost immediately wished we hadn’t. However, there are a number of fantastic seafood restaurants and cafes in the village, with cheap and cheerful food served with an icy beer. Tai O Heritage Hotel operates as a non-profit social enterprise with income being used for the conservation of local historic buildings and the promotion of the cultural heritage of Tai O village. It’s such a nice change from the usual accommodation offerings in Hong Kong. 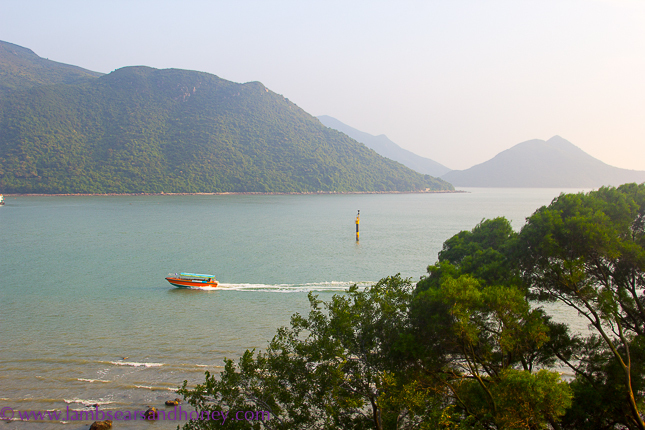 Tai O village is accessible from Hong Kong by ferry; if you are staying on Lantau Island, there are regular buses. Qantas flies direct to Hong Kong from Sydney. On Lantau Island, you can visit the Po Lin Monastery, with it’s 85-foot-high bronze Buddha, visit the 19th-century Tung Chung Fort, check out the Catholic Trappist Haven Monastery, entertain the kids at Disneyland or ride the cable car for 5.7km trip to the culturally themed village of Ngong Ping. 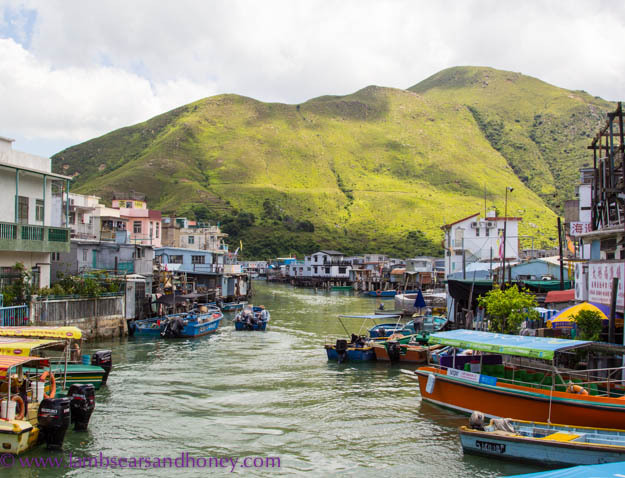 Read more about both the island and Tai O village in this previous article on Lamb’s Ears & Honey. South Australian writer Amanda McInerney writes about travel and food on her Lambs’ Ears & Honey blog. She stayed at Tai O Heritage Hotel at her own expense.